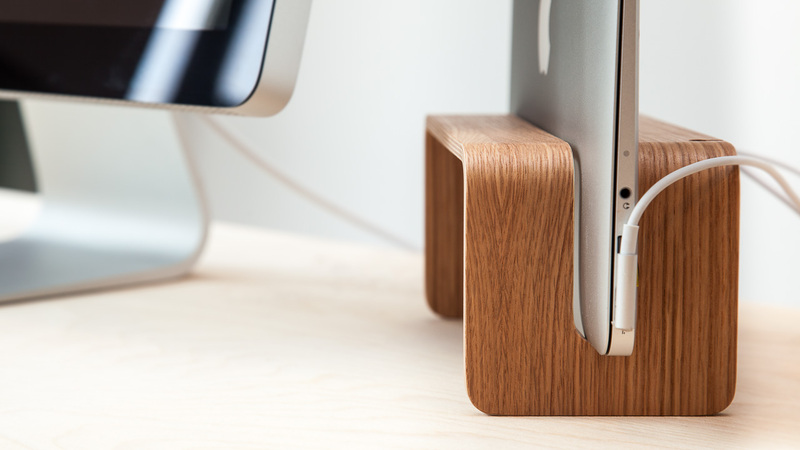 The vertical MacBook Stand is created to fit the MacBook in the current versions. We think it’s important to get as far a possible using only wood without plastic or other inorganic materials. It’s not that we are a wood-only company we just want to be as eco-friendly as possible. The design follow the traditions of scandinavian design with a very simple expression and only the minimum set of features and materials. The stand is created in wood from PEFC forested woodlands on a danish factory with very skilled workers. We want to make the best products so we design and make our products in Denmark to follow the old design- and production traditions. The vertical stand is created with a loose fit so you can insert your MacBook and take it with you without having to pull them apart. The MacBook sits loose and yet secure and you just need to grab it with one hand an off you go. 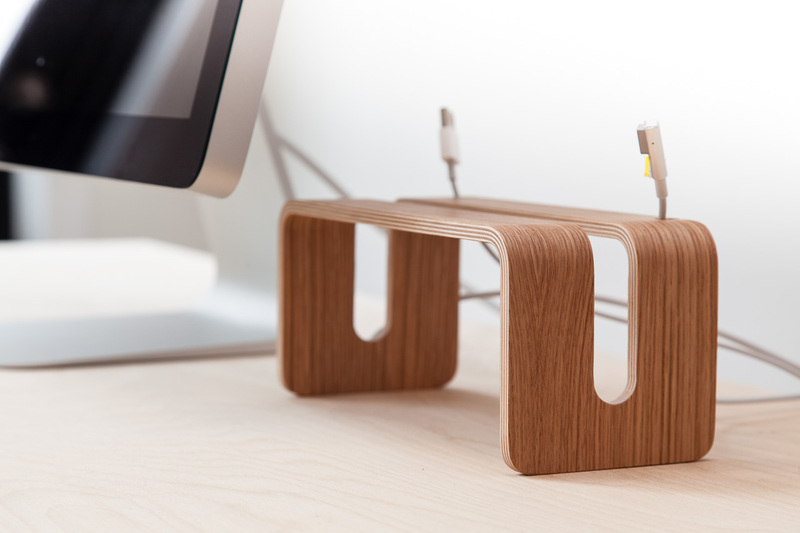 With the stand we want to innovate your work habit and workspace. 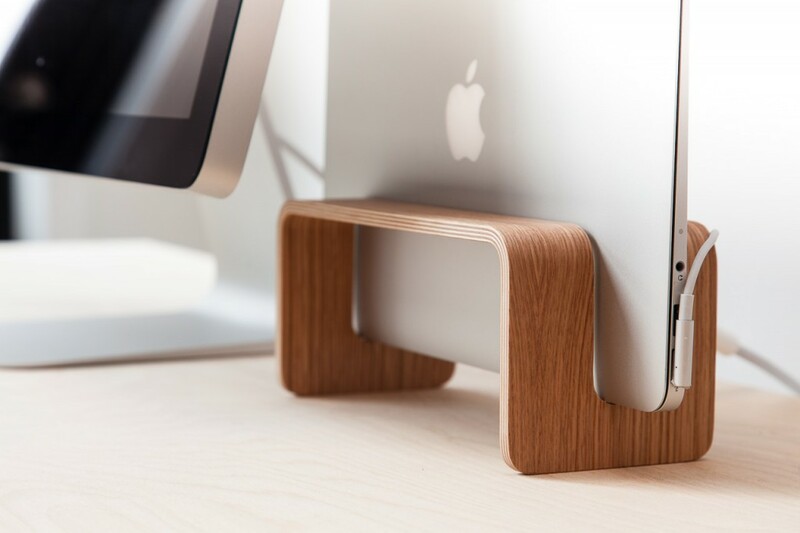 With the MacBook rack you will save some space on your desk and be able to position the main display appropriate regarding the ergonomics. Another benefit is that your MacBook will save power because it only have to power one monitor and can get rid of heat on both sides compared to a MacBook standing flat on the table.